US-based jeans brand Wrangler is making a major move to tackle sustainability with a new Made-in-USA denim collection that supports five US cotton-growing states – and takes the brand towards 100% sustainable cotton adoption by 2025. A new bill that would allow duty-free imports of products made in Mongolia using Mongolian cashmere was introduced in both the US House and the Senate last week – and has garnered support from apparel brands and importers. A week after UK department store retailer Debenhams Plc finally fell into administration, CEO Sergio Bucher is said to be preparing to step down. An array of potential threats could add costs and uncertainty supply chains in 2019 and beyond – including raw material shortages, more recalls and safety scares, and increasingly tough environmental regulations – a new report suggests. We've stepped into an exciting new chapter at just-style, with the launch of the first issue of our new just-style magazine. Each quarter this free digital publication will explore major topics that are top-of-mind for today’s apparel industry executives, plus regular sections on key market developments, sourcing strategy, new technologies and sustainability. 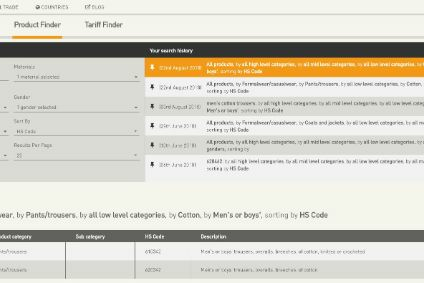 Need to evaluate manufacturers and compare the estimates they provide? From pollution to solution – cleaning up the Fashion and Apparel supply chain with digital innovation. Keep up-to-date with the latest developments to re:source. 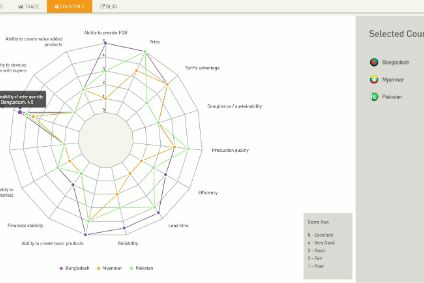 Need more detail on how sourcing people use re:source to develop powerful sourcing plans? The just-style offices are now closed for the Easter weekend – so there will be no site updates or email newsletters until Tuesday 23 April. Adidas has launched a 100% recyclable performance running shoe called the Futurecraft.Loop, which is made without glue and from materials that can be broken down and reused to create a brand new running shoe. 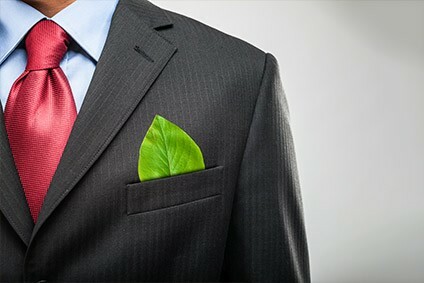 Dutch AGT group "making too little progress"
It's been almost a year since Hugo Boss outlined its latest, annually revised set of ambitious sustainability targets and the German premium fashion brand continues to make progress towards its goals, including upping its use of more responsibly sourced cotton and reducing the number of potentially hazardous substances within its supply chain. Driving these efforts is Andreas Streubig, director of global sustainability, who also tells just-style of his concerns that despite efforts by individual companies, a concerted industry approach is still in its beginning when it comes to driving systematic change. Implementing an industry standard hasn't been high on the list of priorities for most textile mills for the simple reason that no-one is asking for it. 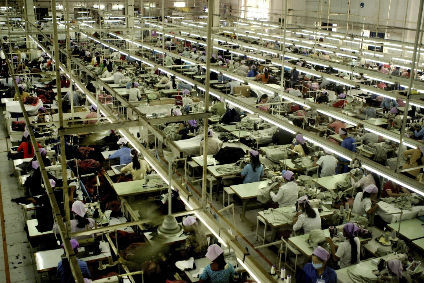 But this is all about to change as pressure mounts for increased sustainability, ethical production and transparency across the apparel supply chain. And a driving force is coming from an unlikely source – the denim trade show Kingpins – as Andrew Olah, event founder and CEO of textile company Olah Inc, explains. The denim and jeans sector is having to work tirelessly to change perceptions over its sustainability, or lack of it. But change is nigh, promises Michael Kobori, vice president of social and environmental sustainability at Levi Strauss & Co. The company recently expanded its Partnership for Cleaner Textiles (PaCT) programme to four countries in Asia, which has so far delivered 20% savings in water and energy consumption for six key vendors. Next on the agenda is a new target to reach 40% savings by 2025. For the seventh time the Supreme Court of Bangladesh has delayed its decision on the future operation of the Accord on Fire and Building Safety in the country – with the court hearing now set to take place on 19 May. We stepped into an exciting new chapter at just-style last week, with the launch of the first issue of just-style magazine. Each quarter this new, free digital publication will explore major topics that are top-of-mind for today’s apparel industry executives, plus regular sections on key market developments, sourcing strategy, new technologies and sustainability. Industry 4.0 technologies have been hailed as the key to creating truly smart factories in Indonesia's apparel sector, with the country rolling out an ambitious plan to digitalise the industry as part of its bid to make the world's top five textile and apparel producers by 2030. Making Indonesia 4.0 encourages the county's growing apparel sector to adopt new technologies such as virtual reality, 3D design, automation and using the Internet of Things. The denim and jeans sector is having to work tirelessly to change perceptions over its sustainability – or lack of it. Here's how change is underway. Of the thousands of stories published on just-style during the last year, we've filtered out the top news, comment, analysis and interviews of 2018. The US-China trade war, digitalisation, worker safety and sustainability were just some of the issues covered. 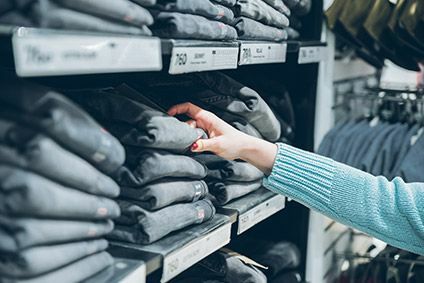 The UK Environmental Audit Committee launched an inquiry into the environmental impacts of the garment industry, as well as social issues such as workers' rights and fair pay. Create better sourcing plans. 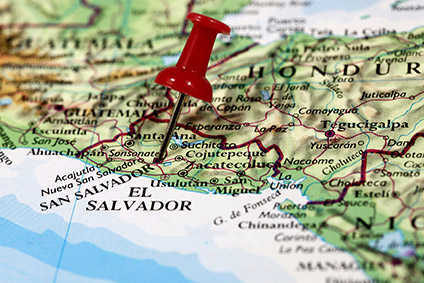 Quickly assess and share new sourcing destinations. Identify savings and potential. Learn how the world sources. Track the trade flows to the U.S., Europe, Canada, Japan, and the rest of the world. It pays to follow the rules. 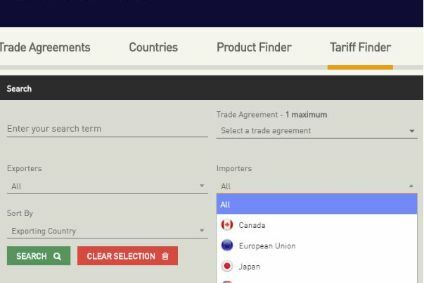 Complex trade agreements, rules of origins, tariffs, and schedules made easy. just-style is the online resource for the apparel and textile industry. Packed with the latest global fashion and texile industry news, analysis and comment, just-style gives apparel industry executives the intelligence they need to do their jobs better. In addition to our unique fashion industry news and comment, readers of just-style also have access to our PLM software buyers' guide, complete with downloads, PLM news, apparel research, and details of PLM software companies who supply the textile industry. 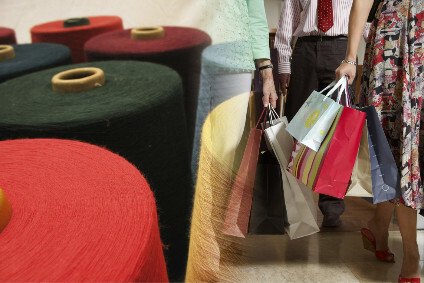 Visitors to just-style can also buy global textile industry research from our own market research store, and our online advertising team also offer opportunities for apparel industry companies to advertise to our membership of senior decision makers. Join the thousands of apparel executives who stay ahead of trends in the global fashion industry with just-style.